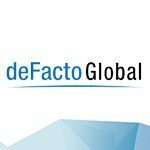 deFacto Major Telecom Provider Case Study | deFacto Global Inc.
A major telecom’s financial planning and forecasting system were unable to handle an increasingly large volume of data, which was causing several crippling problems. After researching potential alternative solutions, the company chose deFacto because of its unique ability to provide scalability, interoperability, accuracy, reliability, data management capabilities, and an Excel interface. The improvements have been dramatic—including an overall performance improvement of 1,000%, while the financial planning system has become much more stable. Like many large companies, this telecom giant collects global forecasting data from hundreds of users around the world and compares it to actual data from their financial systems to constantly refine their overall planning process. As data volume increased, the software’s performance suffered. As the number and variety of data sources grew, the system became cumbersome to use and delivered less reliable results. End users had to log out of the system while processing took place, resulting in the loss of many hours of productive work time. Ultimately, OutlookSoft could not serve the financial group’s needs. The team determined that it needed a solution that could both scale to more users and data and meet its high reporting standards. The solution that best met these standards would be the company’s clear choice. In researching potential solutions, the financial group discovered that most tools lacked functionality, reporting capabilities and flexibility in the Excel reporting interface, and frustrated by a lack. The exception was deFacto, which was chosen because of its scalability, interoperability, accuracy, reliability, and Excel interface. The financial group’s overall performance has improved by 1,000% while their system has become much more stable. With deFacto, users now get onto their applications much more quickly, calculations are processed in a fraction of the time, and reports are generated significantly faster than with the old system.